And most importantly: provide creative décor and design ideas! And in the final month prior to your wedding, your coordinator will also help by confirming your vendors, making a timeline and running your rehearsal, and will be there on the day to make sure that you, your family and friends enjoy a totally stress-free day! WHAT MAKES YOUR PERFECT DAY UNIQUE? We are a full service wedding coordinating and consulting company that offers planning, coordination, décor, chair covers, flowers and linens. Your Perfect Day has earned a reputation as one of the top wedding coordinators in Northwest Ohio by planning beautiful weddings and thinking outside the box. The Knot has named us “Best Wedding Planner” in Northwest Ohio 8 years in a row. We believe in making your vision for the perfect day come to life as the perfect wedding or event. I’M ALREADY WORKING WITH A CATERING MANAGER AT MY VENUE, AND HE/SHE IS VERY HELPFUL. WHY DO I NEED YOUR HELP? Typically, catering managers at the hotel or venue have the job of overseeing details that are directly related to the venue, often including the food and beverages. It is not their job to confirm your vendors, run your rehearsal, oversee the vendors on your wedding day, cue you down the aisle at your ceremony or make sure all of the day’s events are running according to schedule. As professional wedding coordinators, our services can help supplement the services offered by your catering manage, and banquet manager and staff, as well as other vendors. I’M PLANNING A DESTINATION WEDDING TO OHIO / THE MIDWEST, BUT I LIVE IN ANOTHER CITY/STATE/COUNTRY. CAN YOU HELP ME? Yes, we would love to help! In fact, about 25% of our clients do not live in Ohio: they are coming back to this area for a destination wedding or to be with family and friends. So we are very comfortable with out-of-city/state/country clients and communicating via phone, email and Skype to help plan and coordinate your perfect day. DO I HAVE TO USE ONLY YOUR SERVICES IF I HIRE YOU? Not at all. We provide our services and decorations as a matter of convenience. We also work with several excellent vendors in the area, but we’re just as happy to work with vendors and decorators of your choosing. You can pick and choose which products/services you would like us to provide, and we will create a package for you that fits your needs and your budget. HOW MANY WEDDINGS CAN YOUR PERFECT DAY ACCOMMODATE PER WEEKEND? We typically cap our schedule at 5 weddings per weekend. We are firm believers in not overcommitting ourselves, so we control our workloads in order to give our clients the time and attention they deserve. This does mean the sooner you can get us involved in the wedding planning process, the better chance we will still be available on the date of your wedding. DO YOU HAVE IDEAS ON HOW TO MAKE MY WEDDING SPECIAL, UNIQUE AND MEMORABLE? Do we ever! One of our favorite parts of this job is working with our clients to brainstorm and create whatever is necessary to make their weddings extra-special and tailored to their personalities, likes and desires. This is one of the main reasons we keep ourselves up-to-date with what’s new and hot in the wedding industry, so we can offer creative and unique ideas for our clients’ weddings and events. We have help create hundreds of unique, breathtaking and memorable weddings, and no two have ever been the same. HOW DO YOU DETERMINE WHICH VENDORS TO RECOMMEND TO EACH OF YOUR CLIENTS? We tailor all vendor referrals to fit the specific client based on their style, personality, and budget. After meeting with you and getting to know more about you and your wedding, we send you vendor referrals that are selected especially for you and you alone. There are no one-size-fits-all vendors: we keep a large book of contacts so we can put you in touch with the people that can help you most. WILL I LOSE CONTROL OF MY OWN WEDDING AFTER HIRING A COORDINATOR? It is important to remember that your wedding is your event, not ours. We are there to offer help and support and to guide you through the planning process, not to take over. We will give you as much or as little help as you want. We’ll be as involved as you will allow us. But at the end of the day our goal is to make your perfect day a reality. MY FRIEND HAD A WEDDING COORDINATOR WHO BOSSED AROUND THE WEDDING PARTY AND VENDORS ON HER WEDDING DAY — WILL YOU BE DOING THAT? We believe in vendors working as a team with one common goal: the success of your wedding! We want you to have a beautiful and wonderful wedding and we work together with your other vendors to help create it for you. As for the wedding party, we are there to guide them on the wedding day, helping them and answering any questions and make sure the ceremony goes off without a hitch, but never to boss them around. We believe in fun and stress-free weddings for everyone involved, and making the day memorable and enjoyable for the couple and all of their guests. HOW LONG HAVE YOU BEEN IN BUSINESS? DO YOU HAVE LIABILITY INSURANCE?  Your Perfect Day, LLC., was established in October 2008 and is fully insured. We take great pains to make sure that our services, equipment and decorations are top of the line, and that our staff is all experienced and knowledgeable in the planning, preparation and day of wedding needs. Your Perfect Day has helped plan and pull off hundreds of memorable, wonderful days for our clients, and we would love to help you with yours. We have locations in Toledo, Bowling Green, Findlay, Columbus, Cleveland and Cincinnati. We would love to have you visit our studio but we are open by appointment only, contact us to schedule one.